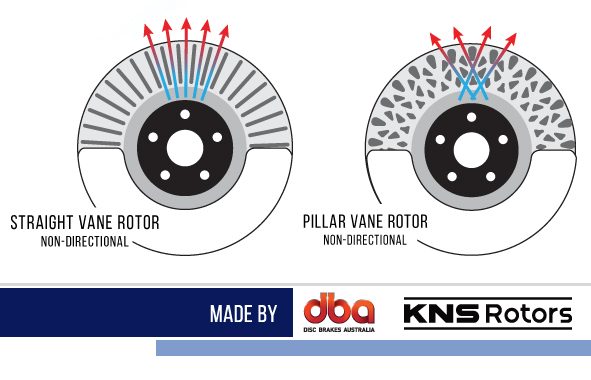 KNS Rotors feature a patented pillar vane design that increases strength and the ability to absorb and transfer braking heat. This design can outperform traditional straight vane rotors by up to 20%. Under racing conditions KNS Rotors are proven to better resist heat related failure. Applications include most Corvette and Subaru models.